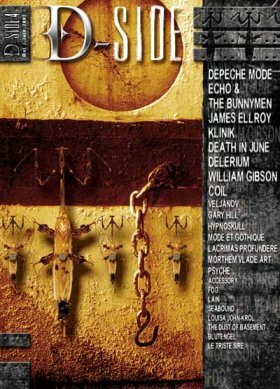 Release of the special issue of Magic only about Depeche Mode on May 21th more than 100 pages only about DM with exclusive interviews. 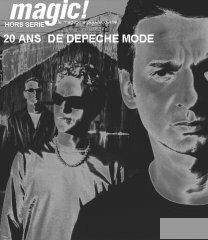 On french Magazine D-Side number 4 will feature a special interview and article with Depeche Mode and on their sampler CD will be the Dave Clarke Club mix that was released only on 12" format. 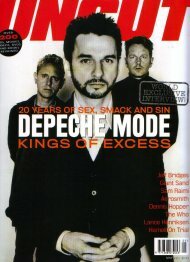 The fabulous Uncut magazine features 20 pages only about DM with a pic of DM on the cover by Anton Corbijn. On Tuesday April 24 th in front of the VIRGIN MEGA STORE in the CHAMPS ELYSEES in PARIS there will be a meeting between 8:00pm and 8:30 pm to go all buy together the new Dream On single + go have drink together after.